Honey-Can-Do KCH-01081 Bamboo Rolltop Bread Box. This attractive Bamboo Rolltop Bread Box from Honey-can-Do is the eco-friendly alternative to traditional bread boxes. Crafted and designed with bamboo, this storage box has a warm natural colour and looks great in appearance. This bread box has a classic rolltop design that is easy to open, yet keeps your bread fresh and protected. When displayed on the kitchen countertop along with other bamboo cooking tools, this bread storage box will add a decorative touch to your kitchen space. Camp Dutch 12 inch Oven Tote Bag Lodge tote bags include a padded bottom, heavy-duty self-sealing zipper, polypropylene straps sewn together with heavy-duty thread. 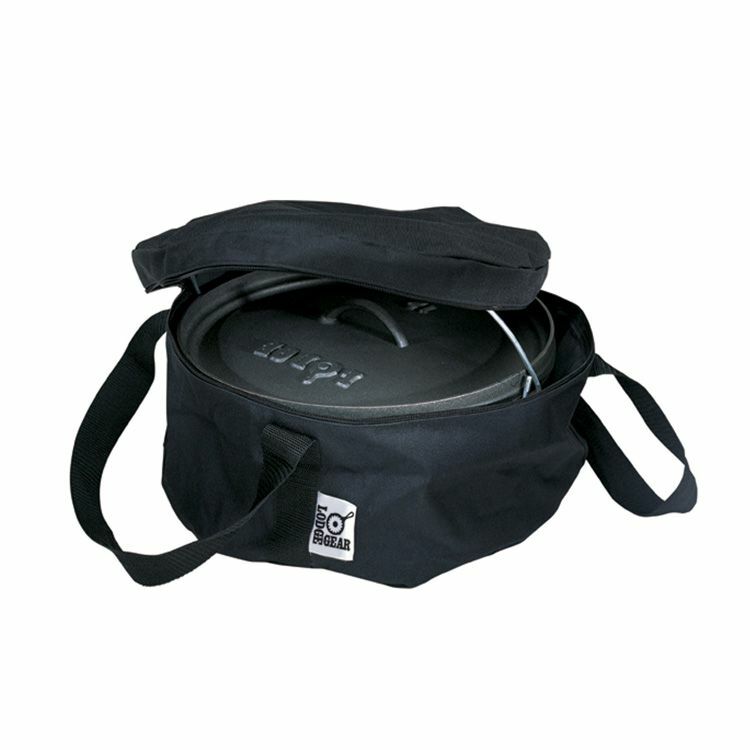 Durable bags fit standard and deep ovens.